Built to handle a maximum of 200,000 prints per month, the Okidata B6500 is a workhorse office printer. This 17x18x16 inch machine offers the speed to keep up in a fast-paced environment, the quality to meet professional standards, and the expandability to benefit a company for the long haul. A few model alternatives are available for consumers with slightly varying needs. The B6500n includes networking, the B6500dn adds duplexing capabilities, and the B6500dtn throws in an extra 550-sheet paper tray in addition to both networking and duplex printing. In a busy office with heavy volumes of black-and-white printing, the output rate is one of the most important features of a printer. The B6500 can produce up to 45 pages per minute, which is just a little more than one second per page. The first page of a job sent to the machine takes about 8 seconds to start printing, so it is quick to respond. Even with such impressive speeds, this laser printer still manages to render a crisp resolution of 1200x1200 dpi. This high quality equates to bold text as well as sharp graphics. Users have the option of connecting to the printer via USB, parallel, and serial ports as well as an ethernet port for the "n" models. The primary operating systems are supported, such as Windows, Mac, and Linux, so the B6500 is adaptable to most office environments. The LCD on the top of the device can be used to view error messages, monitor the progress of tasks, and keep track of the level of remaining Okidata B6500 printer toner. There are a number of expandable features for this device, which is beneficial to a growing business. 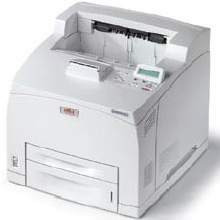 The built-in memory of 128 MB can be upgraded all the way up to 640 MB and the standard paper capacity of 700 sheets can be increased to 1,800 sheets with the addition of optional trays. 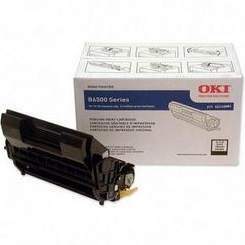 The Oki B6500 toner cartridge that is supplied in the box upon purchase can yield up to 11,000 pages, but high-capacity replacement toners are available that yield up to 22,000 pages. An optional 60 GB hard drive can also be added for increased storage space. Generally, the best place to shop for replacement Okidata B6500 toner cartridges is on the internet. The high-yield options will cost a bit more than the standard capacity versions upfront, but ultimately provide a lower cost per page. 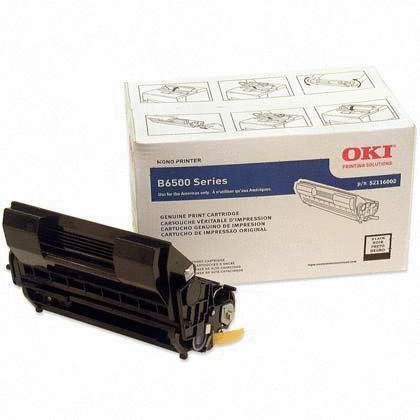 For users who print daily high volumes, consider purchasing Oki B6500 toner in bulk. Though it is a single-purpose device, the Oki B6500 offers a variety of connection options and a number of expandable features. It is fast and generates professional quality output, making it ideal in a work environment, though it might be a little bulky for a home office.